With growing market competition, it becomes more important than ever to make business plans that work and this requires objective and well informed well-informed view of each proposed investment to align relevant data, matching strategy, effective tactics, precise actions, and timescales to ensure higher revenue. Outsource2india produces excellent plans with these qualities in mind for both established and new businesses. O2I’s skilled and highly professional team provides you with a step-by-step guide to help you maximize profitability and achieve market leadership when you outsource business plans to us. Outsource2india takes an objective approach to your business plan requirements and analyzes the facts related to your business operations, industry, market, competition, and brand positioning along with your strengths and weakness to help you avoid pitfalls in future. As an ISO certified research and analytics firm with global presence, Outsource2india offers exhaustive and specialized business plans to help you cash in on opportunities. When you outsource business plan services to O2I, we provide accurate estimation of your revenue to provide the most feasible business plan that works. We help you work on your credibility to ensure the business plan looks suitable for any investment or funding you might be interested in. Whether your business plan is to be presented to investors or to be used internally, its creation must be both rational and complete. Outsource2india’s Business Plans are known for systematic research, detailed projections, and logical conclusions. Our in-house analysts offer both business and financial research expertise. Market opportunities and threats with risk mitigation recommendations are thoroughly investigated and explored in the context of business research by our business analysts/planners. Financial modeling and earnings projections form the basis of financial research. Each of these two domains can then be provided as a separate service offering or combined in one global planning service, according to your requirements. Business Plan Components for Existing and Startup Enterprises: For an extension of existing operations, a new brand or business division, or a completely new startup business plan, we seek answers to following essential questions and organize information effectively to produce planning output adapted to all types of professional audience. Company Profile and Identifying Features: Outsource2india analyzes aspects including the mission statement, goals and objectives, business philosophy, industry context, core strengths, competencies, and ownership of the company to align your prospects. Products and Services: We offer a description of your existing products and services with upcoming offers and lace them with competitive advantages or disadvantages, levels of quality provided, and unique or proprietary features. Marketing Plan: When you outsource business plans, our team of expert research analysts uses primary and secondary market research to provide customer profiles, perceived benefits and features, marketing strategy, promotion, pricing, distribution channels, and sales forecasts that are a crucial part of your marketing plan. Operational Plan: We also formulate the plan for business operations, location, equipment, people, processes, surrounding environment, legal context, stocking projections, suppliers, accounting, and credit management. Management and Organization: We help you streamline all relevant information related to Management hierarchy, key functions, organizational chart, resumes of owners and key employees, professional, and advisory support to provide a detailed and precise report. Financial Plan: Outsource2india also provides startup expenses and capitalization, contingencies, profit and loss projections, cash flow projections, opening balance sheet, and break-even analysis. Outsource2india offers several major advantages as a research support services partner. Our highly experienced research analysts make sure that your plan remains realistic and achievable throughout. We document all data sources for future reference and provide complete information on projections made. Our risk mitigation recommendations are made using thorough business impact analysis and evaluation. Our in-house processes and IT systems are designed to safeguard the confidentiality and security of your business data. With continuous updates that protect against data breaches and guarantee the security and the integrity of your business plan and information. If you want to outsource business plan creation, look no further. Outsource2india works as per strict ISO standards to ensure we uphold all contractual agreements and your satisfaction for all planning deliverables and delivery schedules. Together with our uncompromising levels of quality, you will find our outsourced business plan services to be very affordable. Many of our customers realize considerable savings in both time and money as compared to using in-house resources when they utilize our offsite business plans. 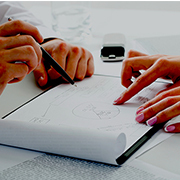 If you have decided on outsourcing business plans services to India, look no further. Contact Outsource2india now to find out how fast and effectively you can obtain the business plans you need to pursue business opportunities today.